According to ophthalmologist Andrew Iwach, “The eye is a unique window into health. 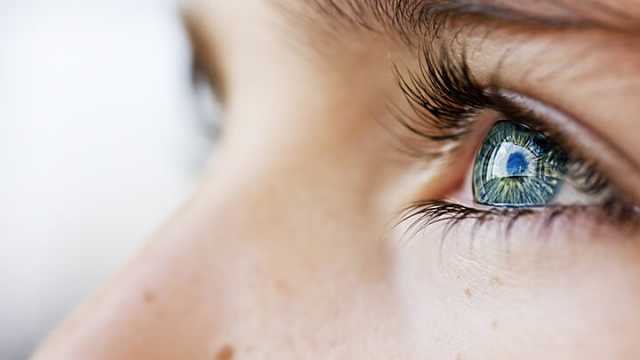 It’s the only place in the body where, without surgery, we can look in and see veins, arteries, and a nerve (the optic nerve).” The eyes say so much about the health of the body overall and can lead to the early diagnosis of some serious health concerns. Here are 5 health warning signs that your eyes are showing you… don’t ignore what they are saying. If you are experiencing yellow bumps or patches on your eyelids, it could be a sign that your cholesterol is out of control. This condition, known as Xanthelasma palpebra, is also known as “cholesterol bumps” and is basically a collection of fatty deposits. If you suspect that you have this condition, see your doctor or ophthalmologist for a diagnosis. If your eyes and mouth are dry, you may have a condition known as Sjogren’s (pronounced “show-grins). This immune system disorder generally impacts women over 40 who have autoimmune diseases such as lupus or rheumatoid arthritis. With this condition, the eyes and the mouth are typically affected together. Other symptoms of this condition include vaginal dryness, dry skin, and dry sinuses. Persons suffering from Sjogren’s may also find it difficult to swallow or chew. See your physician if you suspect that you have Sjogren’s. If your eyes become dim and you experience double vision or loss of vision, it may be an indication of a stroke. Pay careful attention to this, especially if your arms, legs or face become numb on one side of your body. Other indicators of a stroke include loss of balance, headache or slurred speech. These symptoms can happen over a period of time or all at once. If this happens, call 911 immediately. If your eyes feel irritated, it may be from Blepharitis, a type of inflammation of the eyelids. This condition causes eyes to feel irritated or as if something is in them. Crusty debris can gather on the lashes or in the inner corners of the eyes or lids. To help ease burning and discomfort, apply a warm, damp cloth to your eyes for about five minutes at a time. Your doctor may also prescribe an antibiotic ointment or artificial tears to help with the condition. Although it is natural for eyebrows to thin as we age, when hair loss is mostly on the ends of your brows and is accompanied by hair loss on other parts of your body, it may be an indication of a thyroid disorder. It could be either hyperthyroidism (an overactive thyroid) or hypothyroidism (an underactive thyroid). Premature graying of the eyebrows could also be a sign of thyroid troubles. If you also have issues with weight, mood, energy levels or other skin conditions, a thyroid disorder may be further suspected. Visit your doctor for a proper diagnosis. It is crucial that everyone, no matter how healthy you may feel, should have a regular eye exam. During this exam, your ophthalmologist may detect severe health conditions that would otherwise go unnoticed. Hey Buddy!, I found this information for you: "Listen to Your Eyes: 5 Signs You Might Have a Health Problem". Here is the website link: https://www.thealternativedaily.com/eye-signs-might-have-health-problem/. Thank you.